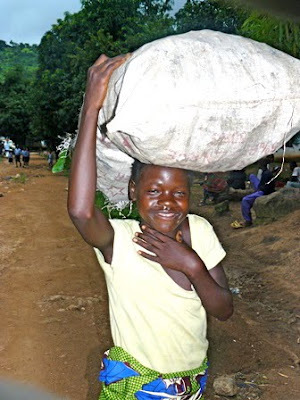 It holiday time in Sierra Leone and so also in Kabala. Schools and school children are closed for the Summer Months. The rains are coming down as they never have before, as this is the peak of the rainy season. This season is the most difficult time in Kabala, especially the months of July and August. There is plenty of farm work, but little food and crops at this time of the year. 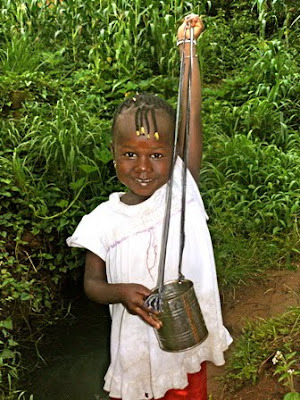 Food items are very expensive, especially rice which is the staple food. The fire coals are sold so that they can help to buy food for the home. The mother has to sell other food items such as corn to support the home too. The father has to work in the farm and taking care of their livestock’s. The younger boys have to work very hard on the farm too. The younger children are happy to help in there in own little ways. 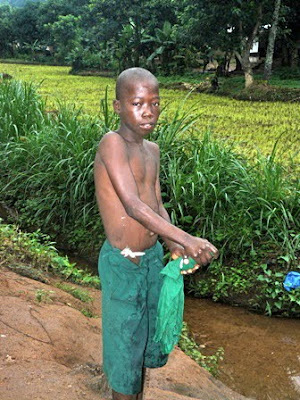 This poor orphan has to take care of himself, as you can see Sorie washing his only cloths. 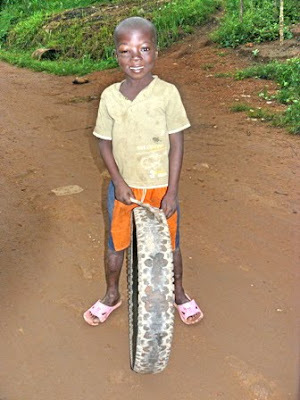 as this boy is content riding his old tyre. Every family member, both young and old, have to work on the farm and do some petty trading in other to make a living. 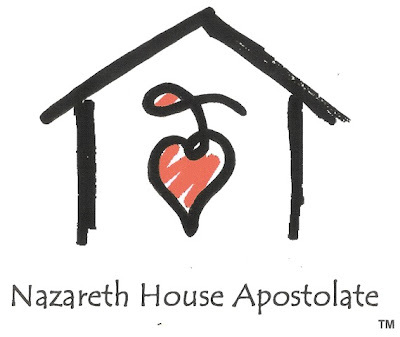 We thank God for sending Nazareth House Apostolate, as you have been of great help and support to the people of Kabala. Pa. Foday continues to do the “Home Visit” in spite of the heavy rains and his duties at his farm. 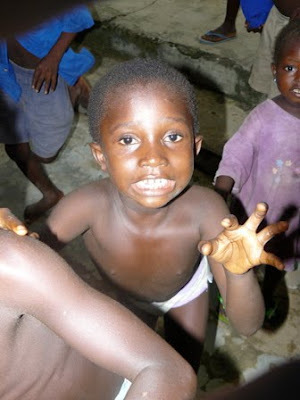 He has been improving from his recent bout with malaria. Despite all the troubles, sickness and hard times Fr. Seraphim & Mama Vicki and some of our Nazareth House Supporters in America have been dealing with, plus the day to day struggles James endures in Freetown, and our own problems here in Kabala; Nazareth House continues to make sure that they are always a great help to the people of Kabala. Please help them with these kind works. Give today to NHA so that they can help feed the hungry, clothe the naked, and provide medicine for the sick. 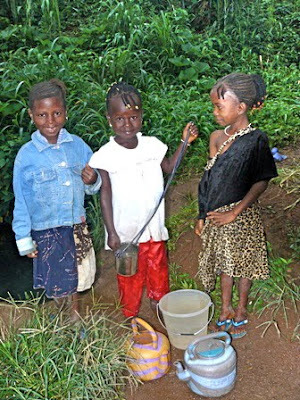 Please also help us to pay for the Compound so we can expand our work to more of those in need in the villages in and around Kabala.